Uganda safari in sixteen days with game safaris in Kidepo Valley, Murchison Falls, Queen Elizabeth, Lake Mburo game parks. 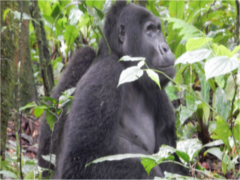 Boat cruises on Kazinga channel and the nile plus Chimpanzee tracking in Kibale Forest and gorilla tracking. 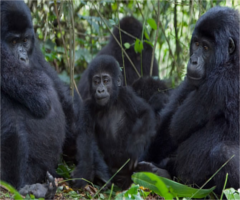 Uganda safari exposing you to all the diversity of Uganda’s ecosystems, Murchison Falls, chimps of Kibale Forest and the crater highlands, to the wildlife savannahs of Queen Elizabeth National Park, then to Bwindi forest habitat of the mountain gorillas. Primate lovers will track chimpanzees in their natural habitat in Kibale Forest witnessing the playful nature of the chimpanzees and then continue to embark on the highlight of your Uganda Safari - gorilla tracking in Bwindi Forest Park. 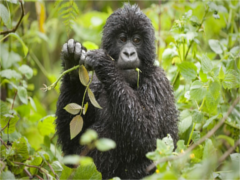 Visit Akagera game park in Rwanda for game drives, Nyungwe forest in Rwanda for chimp tracking and the town of Butare and ofcourse the highlight - Gorilla tracking in Volcanoes park.